External audio recorders provide many benefits and greater reliability over recording into PCs. 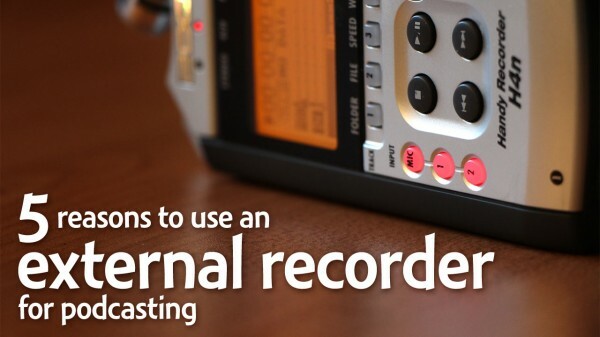 Although recording directly into a computer can often be fine for podcasting, here are five reasons you may want to podcast with an external recorder. Depending on the external recorder you choose, you may be able to eliminate several steps from your workflow or several pieces of equipment. hear what you're recording through headphones. It's entirely possible to record and publish a podcast with just an external recorder and a device to upload and post on your website. Some recorders, like the Zoom H4n, offer ASIO support. This enables the device to function as a USB microphone when connected to a computer. These recorders usually have condensor mics, which aren't the best for podcasting. But they're still functional and produce good quality. Some external recorders will give you options and features that you couldn't use before. Podcasting doesn't always have to be from your basement or closet! Imagine how much more content you could produce if you could do it from anywhere! Record somewhere with ambience to enhance the feel (from a sporting event, at a coffee shop, out in nature, etc.). Record impromptu interviews with people at events. 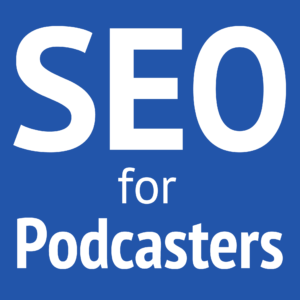 Turn your own public presentations into podcast episodes by recording them. Continue recording podcasts while you travel without lugging your entire studio. Portable recorders are far more stable and reliable. Just make sure you have a consistent power source and good SD cards, and you'll be fine for hundreds, maybe even thousands of episodes! I have the Tascam DR-05 and think it’s a wonderful piece of kit. Had it since May and it hasn’t let me down. Very simple to use. Do you use it with a mixer, or record with its mics? I would like to see more about the differences between the DR-05 and the DR-07. I have the Tascam DR-40, but i’m new to the audio recording world, so are there any specific settings that I need to know about it in order to get the right sound? My volume level seems lower than yours. I’m recording through a 12 channel Mackie and using the Shure SM 58. Love to have your thoughts! In general, set your gain properly first, then use your mixer’s output volume to adjust what the Tascam receives, but don’t raise any volume sliders above 0. You may need to simply increase the Tascam’s input level. I also have a hardware compressor/limiter/gate that helps smooth out my volume levels, and then I run a hard limiter afterward. So my volume levels are raised by my processing, not by my recorder. thanks so much yet again, can’t wait to be able to tune in live on monday, what do you set your levels at for Chris’s dynamic compressor? Very ignorant of compression utilities and just seeing what you do. BTW me (25) and my 13 yr old sister are starting “Once Upon A Time” series and I got her to start listening to your podcast about it….LOVE it! thanks again sir! Here are the settings I use for my mics, our voices, and how they’re recorded through my hardware compressor/limiter/gate. I set this in a Chain so I don’t have to remember the numbers. Audio quality will be good, by using external podcast recorder. I have 2 external digital recorders: The Edirol (was $250), which I consider my main one. I also have a Tascam DR-07 ($150) that I use to record my speaking events and interviews. I’ve heard of people recording directly into their iPhones, but I’m wondering if they get better mics than the ones that come standard. It really depends on your environment and whether you use the internal mic versus plugging in a higher quality external mic. You will want a TRRS microphone. Find something that is advertised to work with your device and/or buy from a good retailer with a good return policy in case you need to return it. I use my Samsung Galaxy Player 4 to record my “City Chat Podcast.” Since it is about city living, I figured capturing the outdoor sound of sprinkler systems, airplanes flying above and cars going by would set the mood. I use an app for Android called “Voice Recorder” It’s the one in the Google Play store, not the one pre-installed, which gives you terrible sound quality. It records in high quality .wav and lets you on the fly convert to .mp3. Very easy and convenient first step in my new podcasting effort. Love your show! I hope you will always have the Audacity to Podcast! God bless. I’ve used Voice Recorder before. It’s very handy! I only recently got a Zoom H4 (not the N model) free from a friend. It was one of those “If you can fix it, you can have it” deals. I got it working, and now I’m saving for a mixer so I can record my show into the Zoom. My show has two co-hosts that come in through Skype, so I need a mixer to get them, me and the bumpers/music. I’m looking at the Behringer XENYX 1002 10-channel mixer. Daniel, do you have a page here on the site where you list off the equipment you use and/or recommend? I thought you had one, but I can’t find it. Unfortunately, I don’t have an equipment page, yet. I was once working on one but had temporarily decided to review each piece first. Clearly, that hasn’t worked out so well, so maybe I’m adding the equipment page back to my to-do list. Thank you, Matthew! As you can see, your nomination helped! Always the contrarian, my recorder is a Marantz Professional PMD620. I’ve used it for something over 3 years with no problems. About 6 months ago I replaced the 8GB SD card, just because. Most of the time it stays connected to my mixer to record the podcast – me on one channel and my Skype co-hosts and guest on the other. I have used it for field recordings (the average SM58 foam windscreen stretches over the top and covers the twin condenser mics). I’ve also used it very successfully to record interviews at conventions. For that I have a Sennheiser dynamic mic that goes into the PMD620 mic in jack. The pre-amp in the Marantz has plenty of power for the dynamic mic. I do have an inline impedance matching cable, but I’m not really sure I need that. This recorder is smaller that the H4n/etc. recorders and fits nicely in the shirt pocket. Power is two AA batteries rechargeables work fine), or you can plug it in. A great little device. That’s a pricey little recorder! Thanks for sharing your experience. I’ll have to get my hands on one of those sometime. At the time I bought the PMD620, Marantz was offering a $100 factory rebate, which brought it in line with the other “high end” recorders frequently used by podcasters. Otherwise, is it worth $100 more? I have no idea. Actually ALWAYS use your portable recorder. split the audio from your mixer and record to the recorder AND your PC every time. that way you have two recordings so when your PC crashes and destroys the last 1 hour of podcast you recorded with that hard to get guest, you have a second recording to fall back on. I JUST had this happen. My Zoom H4n is my primary recorder. If something drastically goes wrong, I usually have the live-streamed video as a backup. I had the original Zoom H4, but the XLR connectors on it no longer work. I am looking at the Zoom H6 or the Tascam DR60. On the one hand, I like the strong pre-amps that Tascam builds into their recorders, but I like the various built-in mic options on the Zoom H6. Any thoughts? Those are both great points and you have to decide which one matters most to you. 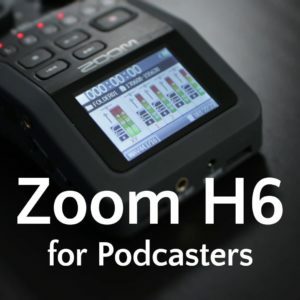 I haven’t gotten a Zoom H6, yet, to review. So I can’t speak on the quality of its preamps. I do know the H4n’s preamps aren’t that great and introduce a bunch of hiss with many mics. Great episode, Daniel. When you expert audio from you mixer, how are you going about it? Do you use something like (for example) an in-Line pad with 30 dB of mic attenuation? Thanks for your show! I use my mixer’s built-in preamps for now. Thanks Daniel. What I was trying to ask – though I didn’t do a good job of, is how are you getting the audio from the mixer to the H4n, considering that the H4n is reported to not have true “line-in” rather mic-in? I wondered if you were using a DI Box or some type of in-line attenuator to keep from potentially damaging the H4n. Or, perhaps your mixer has mic-out. Although, I have heard from others that they’ve used line-out on their mixer directly to the H4n via 1/4″ unbalanced cable without any troubles (yet). I’ve read that others have blown their H4n by doing the same. So, I was curious what you’re doing with your configuration. I have my H4n connected to my mixer via balanced XLR cables for main, and a 3.5 mm stereo cable for Sub/Alt. The key is to lower the mixer’s output by about 3 or 6 dB. Then lower the H4n’s input levels to 1. I use a external recorder too because I love the simplicity and straightforward minimalism. I used to use a zoom h1 now I have a Tascam HD-P2 for podcasting. I like fun looking gadgets, plus I’m not exclusively a podcaster so it benefits letting me use it for recording video audio and ambient sounds and such. Dedicated hardware is always more reliable and stable, same as why you buy a router and not a server functioning as a router. Not to mention 192khz reliably when I need it and less sloppiness when recording music guitar practice. It’s far from ideal. To use your internal microphone, you’ll have to work very uncomfortably if you want anyone to hear you well. 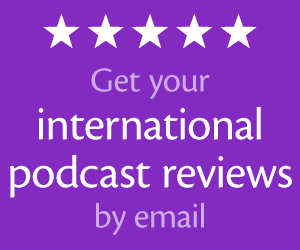 Hi Daniel, do you still recommend the H4N to record a podcast? I’m thinking of making the switch and just wanted to find out if you still recommend that way. I do still have it, but I now recommend the greatly improved H5 or H6. thanks Daniel, you don’t happen to know where I can get some help or a tutorial video I can use to put mine together. That gain and hiss problem is with the H4n, not the H5 or H6. That’s why I recommend the newer recorders. Is it possible to record each mic on a separate track so that I can edit each voice, independently, in case someone coughs or something? I can’t see how this is possible since most recorders, like the Zoom H4N Pro, only take one 3.5mm input. Would I have to buy a 3.5mm input -> XLR adapter for each mic and use the H4N’s XLR inputs to achieve this? Is there some odd trickery I can do with the 3.5mm input to have one voice on the left stereo track and the other voice on the right track? Any help would be much appreciated.